As a professional video converter, Any Video Converter Professional performs its excellence in video/DVD converting and video editing. It is also able to download videos from online video sharing sites and burn videos to DVD. Easy-to-use interface, fast converting speed, loaded useful features are all integrated. 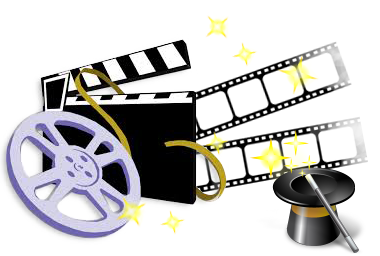 Download online videos from Youtube, Facebook, Nico, Veoh, Vimeo, etc. I absolutely love your product! After trying a handful of video converters, I've found yours to not only do the best job, but is also incredibly user-friendly and very versatile as to the range of input and output formats. 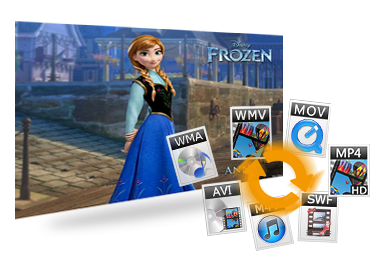 Convert DVD and all video formats, including MOV, M2TS, OGM, RM, WMV, QT, FLV, MOD, TS, TP, DVR-MS, Divx, etc. to AVI, WMV, MP4, MPEG-1, MPEG-2, FLV, SWF, MKV, 3GP and 3G2 for all portable media players including iPad,iPod, iPhone; mobile phones including Google Nexus, BlackBerry and Nokia and game consoles including PS3, Xbox360 and Wii. Served as a high-definition video converter, Any Video Converter also allows you to convert AVCHD (*.M2TS, *.MTS, *.TOD), HD MKV, HD H.264/MPEG-4 AVC, HD MPEG-2, HD MPEG Transport Stream (*.TS, *.TP, *.M2T) and other high-definition video formats to standard definition video formats. Besides, high-definition video output formats including AVI, WMV, MP4 and MKV (720P & 1080P) are also available. 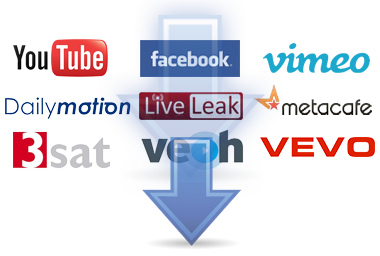 Any Video Converter can download & convert videos from 100+ sites, like Youtube, Veoh, Vimeo, MTV, Vevo, HowCast, Break, Facebook, Myvideo.de, Liveleak, NicoVideo, etc. Paste URL links of your favorite online videos to the program, download to your hard drive and convert to the popular video formats for all your mobile devices. Downloading only or downloading & converting in a click are also available. The video converter would also allow you to specify quality level to videos by clicking menu Edit > Option > Online Video. Despite formats of the videos, you can merge multiple video files into a singe long video. Adjust the brightness, contrast, satuation, rotate or flip your video, add artistic effects like noise or sharpen to make your video different and special. Prepare a .srt subtitle with your own dialogue and embed it into output video. Batch add video files in different folders easily with a folder selection dialog. Batch convert videos to output profile you specified and auto shutdown after encoding is also available. Set the Video Quality to High to get the best quality you want!